We all know the world’s most popular vitamin in its synthetic form: a little orange tablet, tangy to the taste. But did you know it’s best to get your daily intake of Vitamin C naturally as possible to ensure effectiveness? 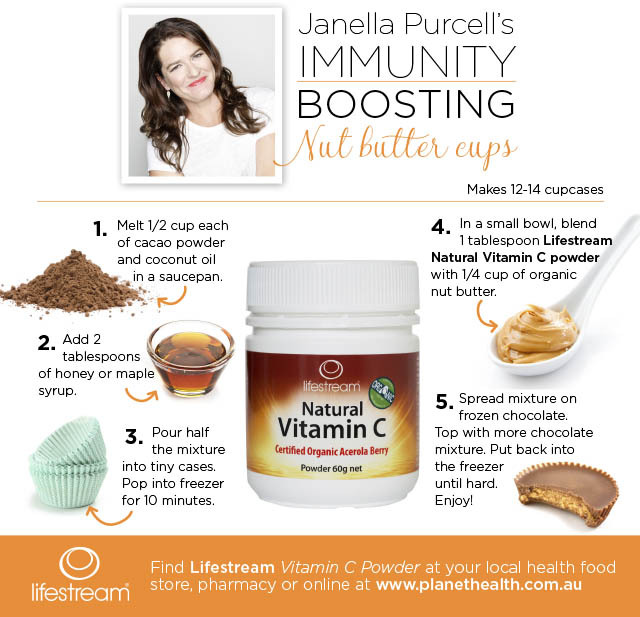 Wholefood nutritionist, naturopath and chef Janella Purcell today announced the launch of Lifestream Natural Vitamin C Powder, a new 100 percent natural wholefood supplement that can be added to cereal, salads, smoothies, juices and other dishes (see Janella’s Immunity Boosting Nut Butter Cups recipe below). An important antioxidant that boosts immunity, particularly when needed in the colder months and during stress, Vitamin C is also renowned for promoting healthy gums and supporting strong, healthy collagen and connective tissues. However, not all Vitamin C supplements are equal, with most made from synthetic ingredients. Such formulations are not as bioavailable (readily absorbed by the body) as natural wholefood Vitamin C, which is enhanced by the presence of co-factors, such as bioflavonoids and antioxidants. Choosing a wholefood source promotes maximum bioavailability, as nature intended. 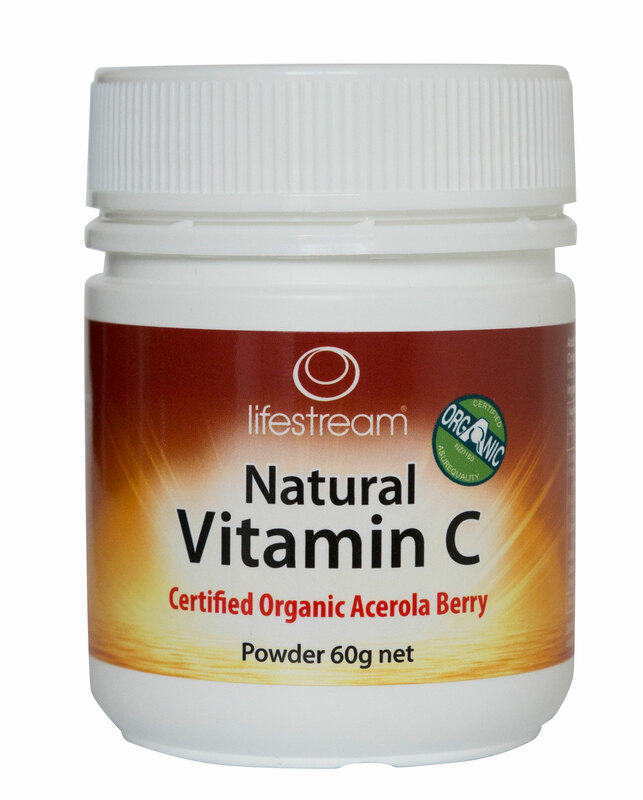 Lifestream Natural Vitamin C Powder is formulated from Vitamin C-rich certified organic acerola berries. Importantly, the formula is very gentle on the stomach, without the acidity of some supplements. It is ideal to take when the immune system is compromised or as additional seasonal support. As a water soluble vitamin, it is important to take vitamin C each day, preferably as food rather than as a chemical. With Lifestream Natural Vitamin C powder, each dose provides 340mg of bioavailable vitamin C, Lifestream wholefoods also produce Lifestream Natural Vitamin C in capsule form. Eat straight from the spoon.